High-Speed Cisco Networks lays out Cisco's complete line of products and describes the features and the best applications of each. Vacca provides exhausting, critical details on routers and servers, switches and hubs, security products, network management tools, ATM products, other services and programs, and Internetwork Operating Systems (IOS). 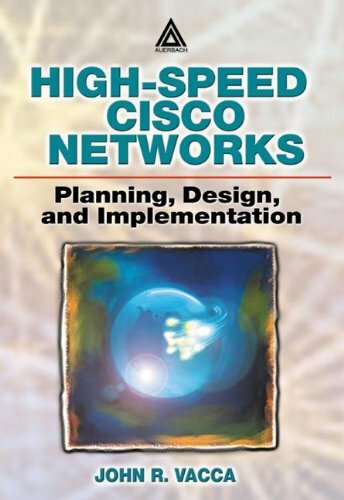 Armed with this independent evaluation, you can use the rest of the book to design with confidence high-speed networks that both meet your current needs and scale to your future requirements.